The search is on for Bexley’s best businesses after a sparkling launch of the borough’s premier awards at historic Hall Place and Gardens. 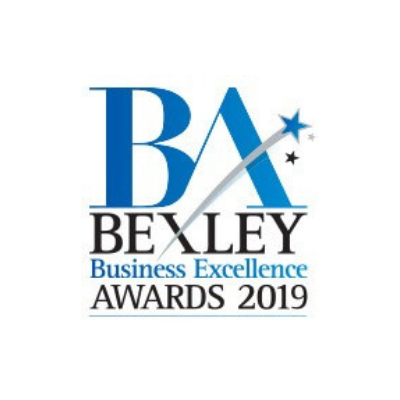 The seventh annual Bexley Business Excellence Awards in association with Ocado is now inviting entries after the busy breakfast event on Thursday, 31 January. More than 140 guests came along to hear details of the 12 awards categories – updated for 2019 – as well as inspirational speeches from political and business leaders in the spectacular Great Hall. The councillor also thanked all the sponsors for supporting the 2019 Awards. They include: the headline sponsor Ocado; Event Partners London Borough of Bexley and Bexley for Business; Aitch Group; Crayford Greyhound Track; ITRM Ltd.; Learning and Enterprise College Bexley; London South East Colleges; Peabody; Sidcup Partners Ltd; and Waterman Group. They are supported by the Bexley Times, Insight6, Maid on a Mission, Mobile Bar Hire and Northgate Public Services. The Bexley Business Excellence Awards are free to enter and open to businesses of all sizes and across all sectors in the borough. Entering is simple – just register at www.bexleyawards.co.uk and follow the simple online submission process. Entrants are able to enter up to three of any awards category, with the exception of Business of the Year – the premier award chosen by judges from the shortlist. After a rigorous and fair judging process, the 2019 winners, including the overall Bexley Business of the Year, will be exclusively announced at the glittering, black-tie Gala Dinner and Awards Ceremony hosted by a celebrity compere. Welcoming guests to the launch event, Steve Hammond, General Manager with headline sponsor Ocado, revealed details about the firm’s high-tech distribution centre, Ocado CFC Erith, which will employ 3,500 people once complete and delivering against it’s plans. He said, “Ocado is very proud to sponsor the Bexley Business Excellence Awards for the fourth year running. The company is very committed to building partnerships in the community and supporting local organisations, charities, such as the local hospice and foodbanks through Ocado CFC at Erith. We invest in local people by taking on unskilled workers, training them and offering them apprenticeships or simply training them to the highest of standards. My aim is to develop the site and culture to be an exceptional employer of choice within Bexley, one where you would want your friends and family to work. Launch guests also heard several inspiring case studies from last year’s awards winners. Praising the benefits of entering this year, 2018 Business of the Year winner Dave White, Managing Director of ITRM Ltd said: “ITRM are very proud of winning the 2018 Bexley Business of the Year Award but the real reward for us is the success of our business, and there is no doubt we have won business off the back of these awards. Winning was also a great recognition of all the hard work of our people. *Please note, entrant can apply for up to three awards. However the category winners form 2018 are unable to enter the same award in 2019.